Tohato is famous for sweet corn snacks, but also for their exciting flavored biscuits! 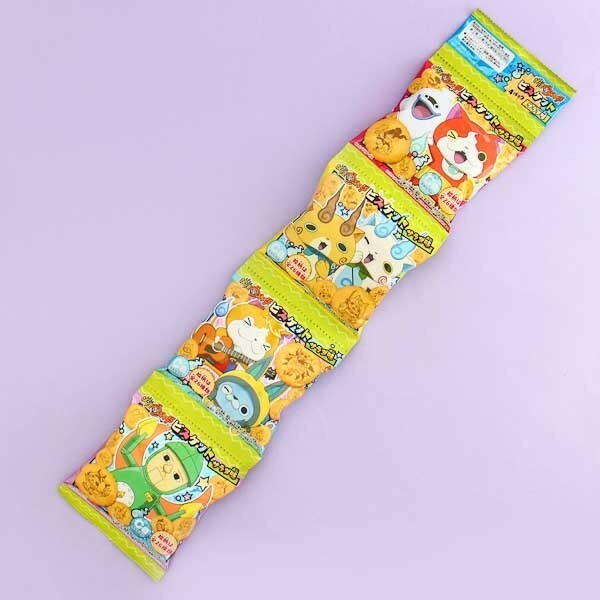 Just as crazy as Yo-Kai Watch itself, are these ham salad flavored bite-size biscuits by Tohato and Yo-Kai Watch collaboration! Each biscuit has a picture of one of the 26 different popular Yokai Watch characters, and the biscuits have also added calcium. Taste the typical Japanese ham salad flavor in the shape of biscuits - there are plenty biscuits in the set to share with friends or family! 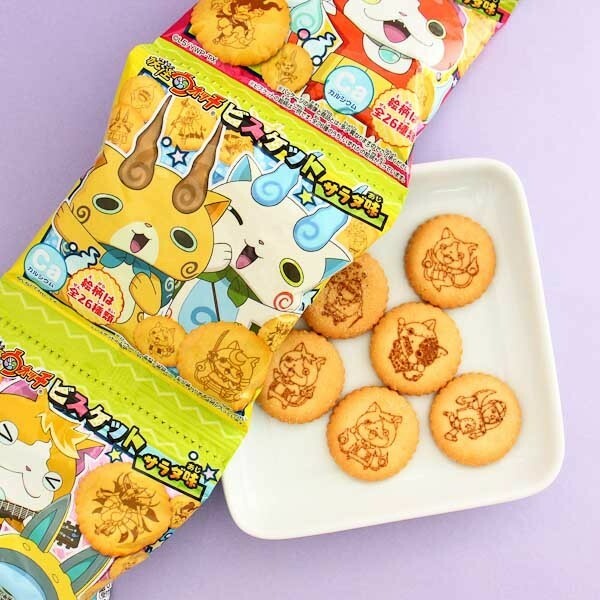 Yo-Kai Watch and Tohato's collaboration for funny ham salad flavored biscuits!